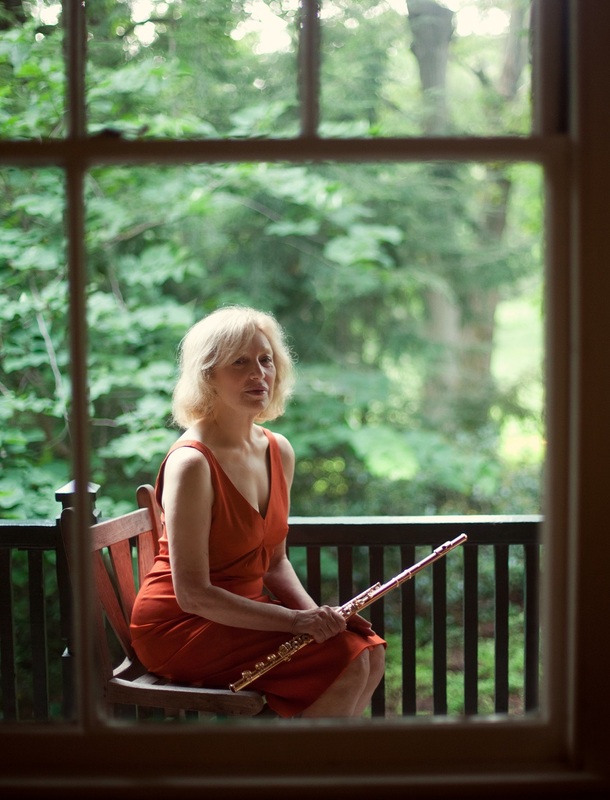 The legendary flutist, Paula Robison, has captivated audiences around the globe with a wide repertoire ranging from Boulez to Brazil and everything in between. Paula shares her insights into Borne's 'Fantaisie Brillante sur Carmen" (a.k.a. 'Carmen Fantasy') in an interview with the Hawaii Flute Society's Lance Suzuki. Aloha, Paula! As the Hawaii Opera Theatre presents Bizet’s Carmen this month, it has me thinking about Borne’s "Carmen Fantasy" and, specifically, your compelling recording of it. Why do you think that Carmen, the opera, has endured for more than a century in the hearts of singers and audiences alike? I think Carmen has an unbeatable combination of marvelous music, a passionate story, characters who can seduce the audience with their voices, opportunities for great dancing and staging, lots of color....for me it gets 10 stars for everything! Is there a particular character or aria from Carmen that you especially connect with? Well, when I was quite young I played in the orchestra of the New York City Opera (this was before they moved to Lincoln Center). I sat by the edge of the pit and could see and hear everything! So I experienced many different kinds of singing and acting! I was still thinking of going into theatre then so I imagined myself in all the roles. It was fun! I loved Micaela and her innocence, I laughed at the silliness and pride of Escamillo, I felt sorry for Don Jose, I longed to join the dancing in the hideout in the mountains, but I guess most of all I loved Carmen and her escapades, and identified with her passion and her desire for freedom. Arias? let's see: The flower aria of course (we studied it with [Marcel] Moyse), Micaela's aria, the Habanera I adore and still love to listen to how great singers interpret it: Callas, Shirley Verrett, many others. It takes a special interpretive power to make that moment work! "La MORT" ...ah! Not much information is readily available about François Borne, the composer of our Carmen Fantasy. Do you know anything about him? Do you think Moyse might have ever met him? I am sure that Moyse met him. But he never mentioned this to me when I studied the variations with him. Borne was involved with the development of the Boehm flute and worked a lot with Taffanel. Maybe the Carmen variations were written, like a lot of Boehm's music, to show off all the improvements and possibilities, some of which may have been Borne's own. I have always greatly admired your recording of Carmen Fantasy and am on the edge of my seat every time I listen. What factors do you think go into creating a great performance of this piece? Thank You!! I think you must BECOME the opera, the music, become each character, create each scene! You should listen to great singers and try to imitate them. You need to be a seducer in the habanera; that's what makes it so funny. Then you need to be a Gypsy, dancing in a mountain hideout, your pianist too! By the way, I believe in using the original Borne version without all the knick-knacks and thingamabobs which have been added through the years. It's much clearer. The pianist has to learn how to play in 3rds, but well: They do it for Chopin...why not Borne? And NEVER forget the theme as you play each variation. Then it's easy, not torture! Editor's Note: In "Carmen," the opera, the opening of "Chanson bohème" is played by two flutes. In some editions of "Carmen Fantasy," you will see the top line of the piano given to the solo flute. However, this is NOT what Borne originally wrote. Are there any memories of the recording process that stick out in your mind? Yes. I had a 2 year old at home and I was a working Mom so if it hadn't been for the amazing Samuel Sanders playing the piano part and rocking it and calling "Keep going, Paula!" I never would have made it. He kept me fired up. He kept us in each moment. He was great. I miss him. That's show business: you go on, no matter what. Having played Carmen Fantasy with many distinguished collaborators, what role do you think the piano plays in shaping the performance? Everything! The pianist from the opening bars sets the fateful tone for the whole piece! The tremolo must be full of death-energy and fear (all this is funny in the end of course, but must be approached in rehearsal as the most serious piece in the world...like a Beethoven sonata! No "accompanist" stuff, rather, a full partner in the mischief), the chords fortissimo when needed, the Habanera swaying and rhythmic, the end a whirlwind. I LOVE "partner in mischief!" How do you achieve such clear voicing in the 'Habanera' variations? By thinking of the theme always, by playing the important voice with great support and letting the other decorative notes spin off it from the energy generated. Relaxed fingers are super important. Let the SOUND do the work. My favorite moment in 'Carmen Fantasy' is the sixteenth-note transition into the Toreador theme. I think it’s clever and it always makes me smile. Do you have any favorites? I LOVE that moment. It always made me smile too which was tricky in performance! I also love the very first long line of 16ths after the statement of Don Jose's intense theme at the very beginning of the piece. I used to do it all in 1 breath, like a dancer doing fouetté turns all across the stage.. After I got to the high "E" I would always sigh with relief and think, "OK, now I can do the rest, easy!" Mahalo, Paula, for taking the time to chat with us and share your artistry and experience! Thanks for asking me, Lance! It's fun to think of all these good memories of a piece I love and speak of them with an artist I love! Hear Paula Robison's recording of "Carmen Fantasy" (and much more) in "The Art of Paula Robison" album available on iTunes. Learn more from Paula in her "Flutings with Paula" web series. The episode above is entitled "Playing Between the Notes." 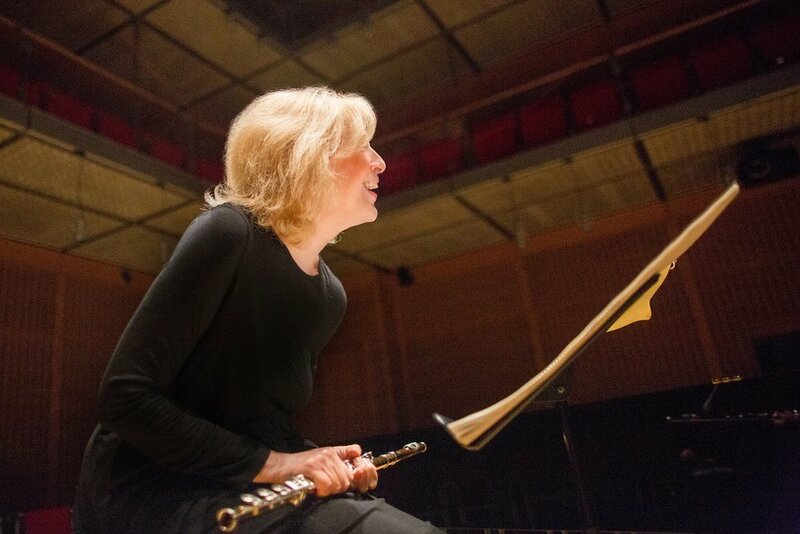 Paula Robison, recognized early as one of the great solo flutists of her generation, is celebrating a career of over fifty years this season starting with a birthday appearance on The Late Show with Stephen Colbert dancing to “Tico Tico” and sitting in on flute and piccolo with the show’s stellar band: Jon Batiste and Stay Human. She was born in Tennessee to a family of actors, writers, dancers, and musicians, and studied at both the Juilliard School with Julius Baker and the Marlboro Music Festival with Marcel Moyse (making her a direct musical descendant of the great Paul Taffanel). When she was twenty, Leonard Bernstein invited her to solo with the New York Philharmonic. When she gave her New York recital debut under the auspices of Young Concert Artists, the New York Times wrote: “Music bursts from her as naturally as leaves from trees”. Soon after that she became the first American to win First Prize in Flute at the Geneva Competition, and her international career was launched. Ms Robison was a founding member of the Chamber Music Society of Lincoln Center and held the title of Artist Member for twenty seasons. Find more great music and ideas at www.paularobison.com.